Click on any of the following categories to see common questions and corresponding answers. The fastest service, ordering online is best. Do you bill my credit card before you ship? We do not believe in pre-billing. This can add unnecessary charges to your purchase. At the time you place your order, the amount of your purchase will be reserved on your credit card. Although, no actual charges will be billed until your order is being prepared for shipped. All charges will show up on your credit card as Sooner Plant Farm purchase. *Some special purchased plants may require a prepayment; however, we will notify you for approval before we do this. Air root pruning is one of the growing techniques we use to encourage our trees to produce a healthy and vigorous root system. When a root tip is pruned, the plant will respond by growing two or more new roots. If these new roots are also pruned, even more new roots will be grown. Each time this happens, the plant develops a stronger root system. The special pots and raised wire benches that we use throughout our growing system, allows us to take air root pruning to the highest level and encourage new root growth every day. We have proven that our Imagine Backyard Trees® grown using our air root pruning methods, will transplant with little or no shock. This allows them to become established quicker, remain healthier, and mature into specimen trees in your landscape, much sooner than conventional bare root trees. When is the best time to plant a tree. There are several factors involved in answering this question? The first factor to consider, is what form of a root system does your plant have? Is it bareroot, or is it growing in a container? Bareroot trees must be dug and planted while the tree is dormant. This is normally during winter months. Sometimes trees are dug and stored in warehouses or large coolers for long periods of time, this is done to keep production on schedule at large nurseries. It is very important that bareroot trees are properly dug and stored. If the trees are not dug when well into dormancy, they may have not stored the food necessary, to leaf out and grow the next season. Also, if the trees are not stored at the proper temperature, they will begin to grow in storage. This is not a good thing, since the energy the tree is using to break bud should be used to produce roots. If you receive a tree that is in a bareroot form and the leaves are emerging, call the vender and report your concerns. One last thing to consider is the number of roots that are cut off from bareroot trees during the digging process. This is the reason so many bareroot trees die or take several years to become healthy. Imagine Backyard Trees® can be planted anytime of the year. since the root system is not disturbed. Our trees will transplant with very little or no transplant shock. If you add the benefits of air root pruning like Imagine Backyard Trees®, it is easy to see the best choice. Yes, your plants need fertilizer. Think of fertilizer as plant nutrition, not medicine to cure a sick plant. All plant need nutrition to stay healthy and grow. 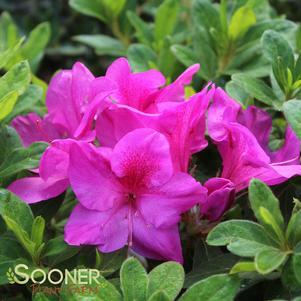 It is important to always have fertilizer available for your plants to use during the growing months. The difference between fertilizing and not fertilizing, is like night and day. A properly fed plant or tree will remain healthy and grow much faster, with less chance of insects or diseases causing problems. It is best to have your soil tested if you want to optimize your soil fertility. I use and recommend slow release type fertilizers for all plants and trees in my nursery and landscape. One feeding in the spring with a slow release fertilizer is all you need for the entire year. Follow directions for amount to apply. Liquid and granular type fertilizers can also be used successfully, although you must follow directions on the package for the amount to apply. How fast will my new tree grow? Each variety of tree has its own growth rate. If everything effecting the tree is perfect most varieties will grow 3'-5' taller the first season after planting. Of course, every planting location will not be perfect, so actual growth rates will vary. There are four main factors for maximizing the growth of your tree. First, the location where you plant the tree, if the tree requires some shade, make sure it is not planted in full sun, if it requires full sun, plant it in full sun. Second factor is the soil condition, the worst thing you can do is plant your tree in a slow draining location, this will may kill your tree and at the very least slow the growth to a crawl. Third, is water requirements; planting a tree in a location that is slow draining is not a good alternative to planting in a well-drained location and watering often. Watering every few days or once a week until the tree becomes established is recommend. Roots have two functions, to anchor the tree so it stays standing in high winds (those are the large roots that go deep into the soil), the other is to search for water, and feed the tree. If the soil remains constantly wet, the roots will have no reason to search for water causing the tree to only develop a small shallow root system. I like to let a hose slowly drip water at the base of my trees for several hours each. A deep watering less often, is much better than shallow watering every day. It is best to have a over active root system like the ones with Imagine Backyard Trees®. Our trees have hundreds or thousands of feeder roots just waiting to supply the tree with all it needs to maximize growth. The forth factor is fertilizer, the fuel the tree uses to remain healthy and vigorous. Keep your tree properly fertilized, to maximize growth. What if my plant doesn't grow? All our plants are carefully selected by trained nursery personnel before being sent to our packing and shipping facility. Each tree is inspected again before being packaged and shipped. Even though we take measures, choosing and packaging your tree, sometimes the trees are not as happy about the move as we would like them to be. If your tree fails to grow, first look over the planting location, make sure it is not planted in a spot that holds water. Make sure you are keeping the soil moist but well-draining. If this is the second year after planting, make sure the tree has been fertilized properly. Check for diseases or insects. Rabbits and deer, like to keep the young tops of trees nibbled off, protect against them. Also check to make sure the trunk of the tree has not been damaged by a mower, weed eater or pet leash. Please refer to our Planting Instructions. Why does fall leaf color vary from year to year? The intensity of autumn leaf color is a result of temperature and moisture during the fall. The best colors develop when the day temperatures are warm, and the night temperatures are cool below 45 F but above freezing, and the soil has plenty of moisture. The more days with these kinds of conditions the better and more intense the fall colors will be. Training your young plant to become a well-developed tree is quite easy? First step, place a tall stake (approx 6-foot-tall) securely in the ground about 12"deep and next to the main trunk. Be careful not to injure the roots of the plant. If the stake will not easily penetrate the ground, try moving the stake to a different location around the tree. Loosely tie the main stem to the stake using a stretchy material. As the stem grows continue tying it to maintain a central leader. Once the central stem reaches about 4 or 5-foot-tall, you can nip off the top, this forces the side branches to begin growing. I recommend not removing lower side branches until they become the diameter of a pencil, although not very attractive, these lower side branches help in the thickening and growing of the tree trunk diameter. A thick trunk will give the tree strength to support ice and withstand wind. Once you have nipped the top, and the side branches are growing, you can nip the tips of these side branches when they reach about 12" to 18" long, this will develop structural branching. The final step is to retrain a new central leader. Choose a branch or bud that is growing close to the top of the main stem. You can train this new branch to become the new central leader by carefully tying it to the support stake. This new branch will take on the role of central leader. What trees don't have surface roots. There is not a lot of good news when answering this question. The fact is all large trees have large roots. The roots must be large enough to hold the tree up in windy conditions. When a tree is small the roots start out small and they grow several inches below the surface. As the tree grows taller and thicker so do the roots. The roots that started out just below the surface grow in diameter. That is how surface roots develop; they are not new roots that are growing. As the tree grows you can add a couple inches of soil occasionally to help cover the roots and allow grass to grow or allow for mowing. I do not recommend building raised flower beds around the bases of large trees as that will kill the tree in many instances. Some trees that are slower to develop surface are Red Maples and Oaks. 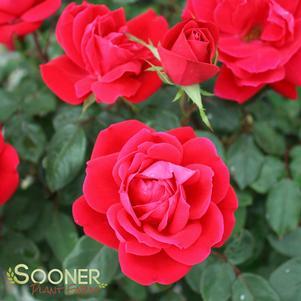 Since, all Sooner plants and trees are grown and shipped in growing containers, they can be shipped and planted anytime throughout the year. Although it is best to avoid shipping during extreme temperatures, above 90 degrees and below 32 degrees. We ship orders, so they arrive without weekend delays. Our shipping schedule is based on the hardiness zone for your area. 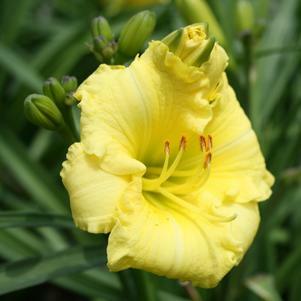 Our zone and shipping schedule is available as a lookup box on every plant detail page. If you would like to reschedule your shipping date, just reply with the preferred ship date, we will reschedule and reconfirm the date via email. What if my tree is damaged during shipping? We take great care and pride packaging all orders. In the unlikely event your order is damaged, please notify us immediately. Our normal office work hours are Monday thru Friday 8:00a.m - 4:00 p.m.
We will immediately file a claim; most claims are normally settled within one week. A replacement tree will be reshipped on our next scheduled ship date. You must keep the damaged product and shipping carton until the claim is approved. A product pickup or inspection of the damaged product and shipping carton, may be necessary by the shipping company. Once the claim is approved, and the shipping company is not picking up the product you may discard or keep the damaged plant material. Most plants and trees will fully recover from minor damage. We will ship your order to any address in the U.S, excluding ALASKA, HAWAII. Why can't you ship to some states? Due to Department of Agriculture restrictions on potted plants containing soil mix, we are unable to ship to these states. Also a $10.00 inspection fee may be added to your order for the cost of a phytosanitary certificate. How do you package your trees? Rest assured, we have spent many hours developing a shipping method that really delivers without damage. All trees are securely fastened in our shipping cartons. We have also designed a special holding tray to securely hold multiple tree orders. Each tree is watered, pruned and staked if necessary. We also bag and sealed the pot to hold in moisture, this also keeps the soil and root system secure during the shipping process. I guarantee your tree will arrive in perfect condition. Do you ship any time of the year? We schedule normal deliveries around the first and last freeze dates for your area. You can find your approximate shipping date, by entering your zip code in the Find Your Hardiness Zone box, on the tree detail pages throughout our website. If you prefer a different ship date see below. We can ship most dormant plants trees any time of the year, providing the temperature is above freezing and below 90 degrees. Our plants and trees remain outside through the year and sometimes do freeze. This is not a problem, as long as the soil contains moisture and the plant or tree remains hydrated. Mild short-term freezing does not harm the plant or tree, although, if the soil can become dry and the tree becomes dehydrated this condition can cause damage. Due to the extremely well-developed root system of Imagine Backyard Trees® you can plant them any time of the year if you take some precautions. Fall and Spring are the best and most common times to plant, because of the mild temperatures and wet conditions. If you decide to plant in the winter or summer months, you will need to water often, and keep your tree mulched with straw, pine needles, or leaves. Our normal shipping is UPS Ground delivery. We ship to insure your order arrives within the week and avoids weekend delays. Being located in Oklahoma we are normally able to ship coast to coast in five days or less. We also offer UPS shipping options at the checkout process, should you be interested in faster service. Will the plants and trees ship from Sooner Plant Farm? We do not drop ship plant material from other farms or locations. 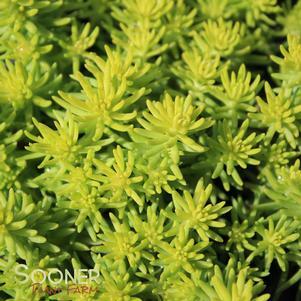 Every plant and tree you purchase from Sooner Plant Farm will be shipped directly from our farm in Oklahoma. We are completely familiar with the trees and plants we sell, and the care they have received. Please contact us if you have a question about a plant or tree you have purchased, or a question concerning a future purchase, we will be glad to answer your questions. Why are some of my Japanese Red Maple leaves green? Japanese red Maple leaves turn from red to green when the intensity of light is decreased. Most if not all varieties of red leaf plants lose the red color if the leaves are in a shaded area. Our trees are grown close together to conserve water and help keep plants standing. This causes the new upper most leaves to become very red and the leaves that are shaded by other leaves to become green. Once these trees are given more space the red color comes back. What is a seedling Japanese Red Maple? Seedling Japanese Red Maple, ACER palmatum Atro-purpurea. Unlike grafted or cutting grown varieties, these trees are produced from seed. 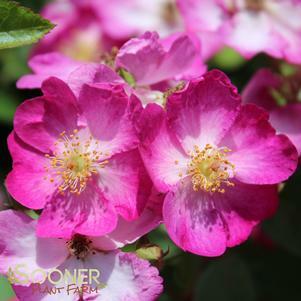 Our seed source comes from the northeast United States, cold hardiness zone 4. 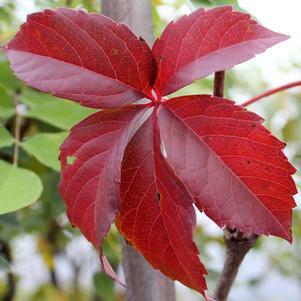 We have chosen this seed source for the very dark red foliage, rapid growth, hardiness both cold and warm, and good form. The trees are grown and shipped in several sizes ranging from peat pots size 2"x 2" x 3" to the Imagine Backyard Trees® 1-year starter size up to 2-gallon pots. We ship small potted trees in the months of September thru May. Due to the packing method used, peat pot trees ship best while dormant or in cooler months, although if requested we will ship during hotter months, slight leaf damage may occur, although this normally doesn't cause any major harm to the trees. If you request shipping of small potted trees during summer months, it will be at the risk of the buyer. Our small potted trees work great for grafting and for bonsai or pot them up for sale as Red Japanese Maples. 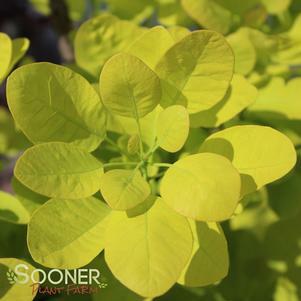 One thing to remember is this is a seedling variety, and color, leaf shape and form can vary in some of the trees. Personally, I appreciate the variations when they occur; I have chosen several of these to be part of my collection. If you have any questions about this product, please contact us directly. Remove trees from boxes and water thoroughly. Replant into larger containers as soon as possible. Japanese Red Maples Prefer a slightly acid soil, so an organic soil mix is preferred. Incorporate into soil mix a low rate of a slow release type fertilizer. Keep soil evenly moist but well-draining. Trees will become darker red with increased sunlight. What kind of pots do you use? We use several different pot sizes, depending on what best works with each plant. Factors include the size of the starter plant, how long the plant will remain in that pot, and how will the plant be shipped. Small Trees Our band pot is a plastic pot 3 9/16" x 3 9/16" x 4 1/4" tall. Most trees in this size pot are one year old and vary in height from 18" to 48" tall. Large Trees Our 2-gallon pot is a plastic pot 9" round x 9" tall. Most trees in this pot are two-year-old trees and vary in height from 3' to 6' tall. Perennials & Flowers Our 1-gallon pot is a plastic pot 6" round x 6" tall. Most perennials in this pot are one year old. Junipers Our one-gallon Smart Pot™, is a fabric bag 5" x 6" x 10" tall. Most trees in this pot are one year old and vary in height from 18" to 6' depending on variety. Small Japanese Maples Our small band pot is 2" x 2" x 2" tall. Trees in this size pot are generally under one year old. Large Japanese Maples & some Trees Our 2-gallon Smart Pot™, is a fabric pot 9" round x 9" tall. Most trees in this pot are two-year-old trees and vary in height from 2' to 4' tall. When your plants arrived my wife said why would you buy plants anywhere else? Thank you for such high-quality we respect that.